The UK is full of stately homes, and many children will find them fascinating places to visit. Make a day out of it by taking along a picnic lunch, then stopping in a country inn on the way home for a quick cup of hot chocolate or cake. If your child is a natural history buff you're in luck. If not, find a home with children's activities on offer to keep your kids happy and entertained. What is a Stately Home? An English stately home is one of roughly 500 properties built between the mid-16th century and the 20th. They are different from castles as they were originally built as residences for wealthy people. They were considered the best way for the rich to show off their wealth, although today many have been bequeathed to the state as the owners could not afford their upkeep. There are many organisations that are now responsible for paying for the upkeep of stately homes, which can run into tens of thousands of pounds per year. They include mainly English Heritage and the National Trust, as well as the Landmark Trust and Treasure Houses of England. 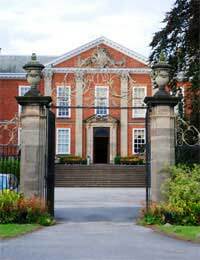 However, some stately homes are still privately owned but often open to the public as a way of generating income. If you wish to see a stately home, look at one of the above-mentioned sites to see what is on offer and find one near you. On occasion, you may even find one that offers overnight accommodation – and if you look hard, you can even find one to host a party – or wedding. The clever people who run stately homes realise that people with children will visit only when there is something on offer for the kids to do. While some children revel in walking around what looks like an ornate palace, other get bored quickly of looking at old furniture and paintings. In fact, Castle Howard in North Yorkshire – not strictly a stately home but almost - polled 200 children to discover that while 39 percent thought a summer visit to an amusement park was tops, only 0.5 percent wanted to come to a stately home, making it a slightly less popular activity than reading. The Castle is now trying to change children's perceptions by offering activities such as an outdoor adventure tour, and sifting medieval sand to find old bones and fragments of pottery. Luckily, the majority of stately homes also have acres and acres of grounds open to the public. Sometimes these are wild, sometimes they have fantastic mazes and topiaries. Still others now boast modern-day amusements designed to attract families, such as miniature railways, animal exhibits, playgrounds and orchards. Some even have children's menus and playrooms! Admission to most stately homes is considerably less for children than adults. If you believe your children would love this sort of excursion, it may be worthwhile becoming a member of the National Trust or English Heritage, to get special deals. If you want to take your child to visit a stately home, make it fun. Choose one that has outdoor places to roam as well as a variety of children's activities, and either bring a picnic or find about restaurant facilities on site. Talk to your child about the home beforehand so they learn about its significance, and ask them to imagine having an enormous house with plenty of servants on hand to cater to their every whim. If they can visualise what it could have been like way back then, they are more likely to appreciate the home's value – and enjoy it more. Finally, check the calendar of events beforehand to see if any special events or activities for children will be held during the summer. A carnival, apple-picking contest or egg-and-spoon race will go a long way toward helping your child to make the most of the day.